Number 16 of the September Challenge. Got a little crazy with the colors of my palette this morning, and I kept singing in my head Mick Jagger's song "she comes in colors..." Back to the easel, wanted to finish one more today, because I have travel plans this week! Hi Maria, Love all those colors, the movement and swirl of them..just perfect! You are an interesting lady (profile) and so is your painting. Keep it up! Thank you for your kind comment Egretta, I am learning to love these oil paints, so different from the watercolor I usually paint with. Figuring out how to mix colors has lead me to some very colorful paintings! Fantastic job on this one, Maria! I love your treatment of this wonderful equine! Your brush strokes are colorful and luscious, and the values really make the painting quite dramatic. Thank you Robert, this was my daughter's horse and I know her well. So much easier to work from a subject that you know and love, I appreciate you taking the time to comment on this. 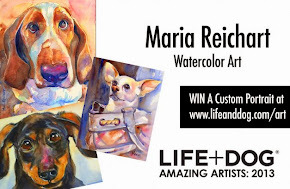 Maria - this is beautiful - the brushstrokes, colors, light, expression are perfect! 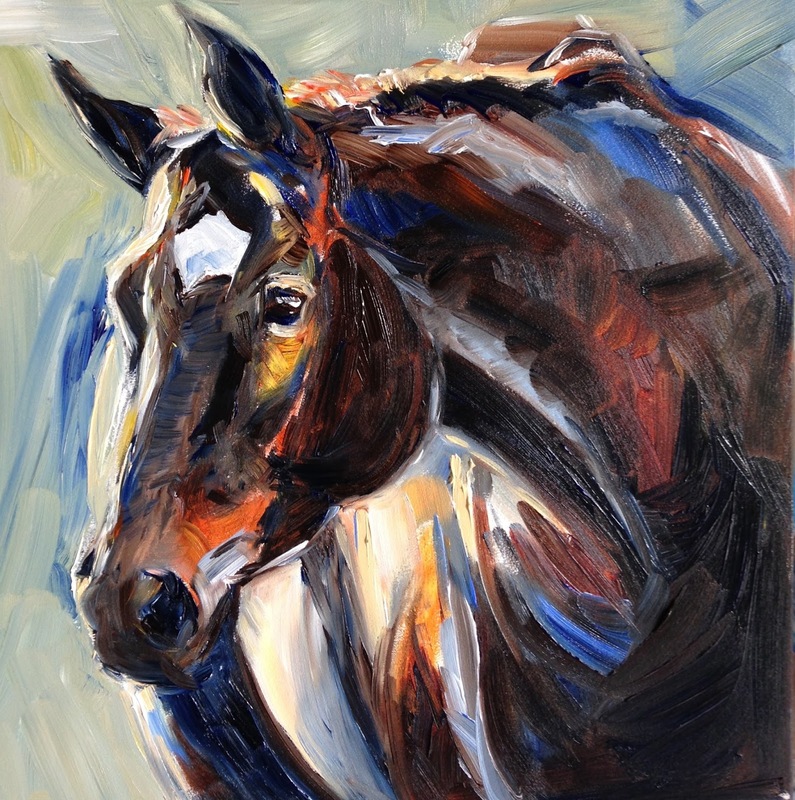 Much appreciated Margaret, she is truly a beautiful horse, the perfect model :) I will paint her many times I think. She's gorgeous! She is glowing in the sunset... I love this! Katherine, this was truly so fun to paint, I could see so many colors in her dark coat, in the shadows and highlights. Would love to try this again larger and maybe refine it a little more. More detail. Beautifully done! I love the movement you have created with broad loose strokes and color and light! Great use of brush strokes to indicate muscle and form. The colors are awesome and I'm reminded of the Wizard of Oz's "horse of a different color." Wow. This small painting pulsates with energy! Thanks Kim, I must admit this one is so much looser and more colorful than most of my paintings, but it was just a delight to work on, slinging paint everywhere :) Too much fun!